Introducing the charming “Genkyuen Garden” in Shiga Prefecture! 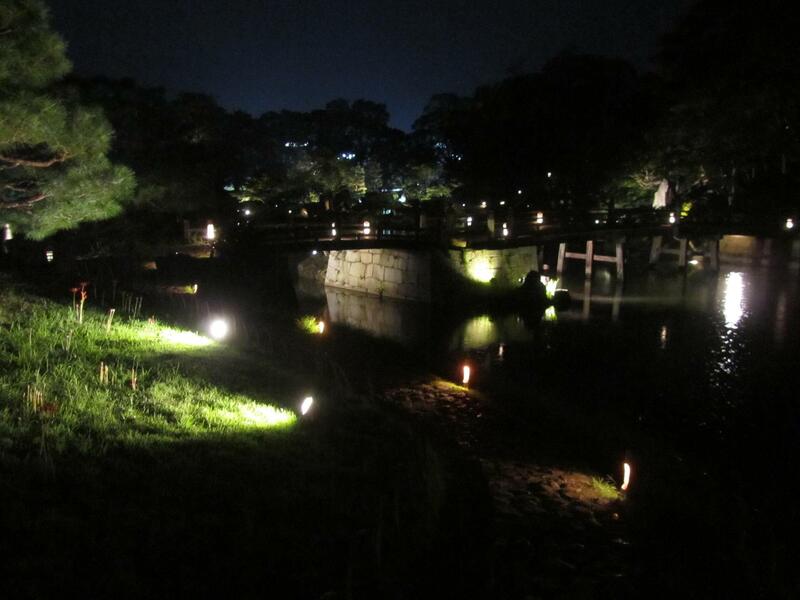 “Genkyuen Garden” located on the grounds of the Hikone Castle was historically home to the feudal lords. This landscaped garden is a replica of “Omi Hakke” (Eight Views in Omi), which were selected referring to Chinese Imperial Villa “Eight Views of Xiaoxiang”. Many events are held throughout the year on the premises for tourists who can appreciate the scenery unique to a feudal lord’s garden. You can enjoy an open-air tea ceremony, a performance of reed pipe with listening to the chirping of insects and Japanese music in the illuminated garden. Leaves in the entire garden change the colors during autumn. 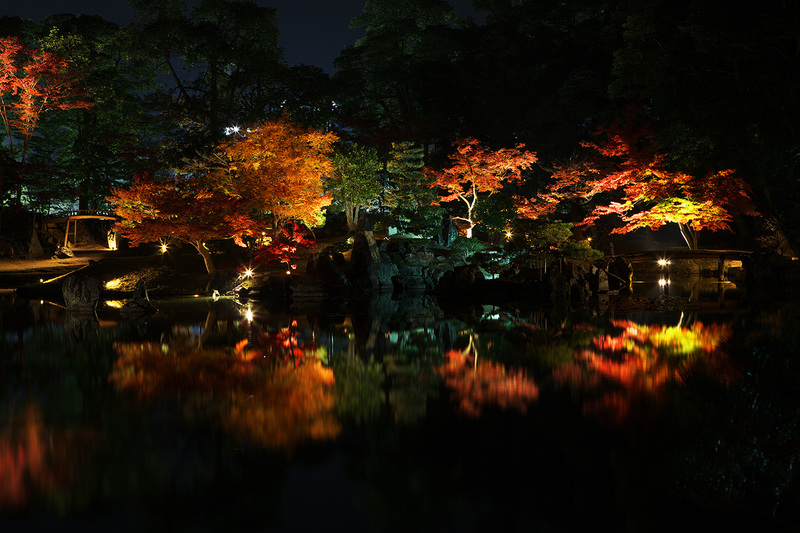 The beautiful colored-leaves with their mirror relfections in the water is a breathtakingly beautiful. Each part of the garden has a particular name. Every single beautiful view heals the fatigue from a trip.